Friday saw the revelation of the alumni rosters and sweaters for the 2016 Tim Hortons NHL Heritage Classic, an event set to take place on October 22-23 in Winnipeg. 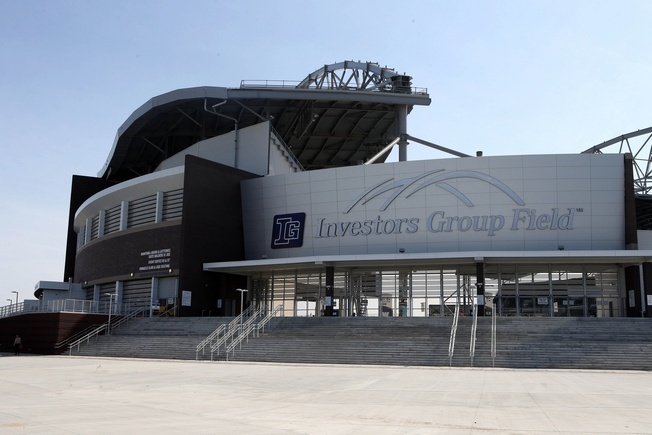 The Winnipeg Jets will take on the Edmonton Oilers at Investors Group Field on the 23rd, while the alumni game will take place on the 22nd. The Jets will become the 22nd team in the league to skate in an outdoor game, while the Oilers hosted the first of the regular season games to be played outdoors back in 2003. Indeed, the Jets will have plenty of opportunities to honour Winnipeg hockey history with plenty of luminaries on the alumni roster and a sweater that serves as a throwback to the 1970s. The jerseys have roots in the World Hockey Association era, when the Oilers and Jets met in the final game of league history on May 20 of 1979. Both the Jets and Oilers joined the National Hockey League in 1979, along with the Hartford Whalers and Quebec Nordiques. Teams joining the league had to cough up a heavy price to join the NHL, with the reclamation draft leading to a dead-last finish for the Jets and a nine-win season in 1980-1981. The Oilers fared slightly better in the standings, but were able to protect Wayne Gretzky thanks to some tricky Peter Pocklington business. The Heritage Classic of 2016 will see an interesting divergence of history and it should, by all accounts, be a terrific show. The Jets’ alumni roster will feature Dale Hawerchuk as team captain and will include players like Teemu Selanne, Teppo Numminen, Bob Essensa, Thomas Steen, Dave Ellett, Mike Ford, Moe Mantha, Darrin Shannon, and others. Tom McVie and Serge Savard will coach the alumni squad. The Oilers’ alumni roster will be captained by Kevin Lowe and features the likes of Gretzky, Mark Messier, Jari Kurri, Glenn Anderson, Paul Coffey, Grant Fuhr, Bill Ranford, Charlie Huddy, Craig MacTavish, Ryan Smyth, Esa Tikkanen, Dave Semenko, and others. Ron Low and Glen Sather will coach. The alumni rosters may include more players, with the selection process not yet complete.